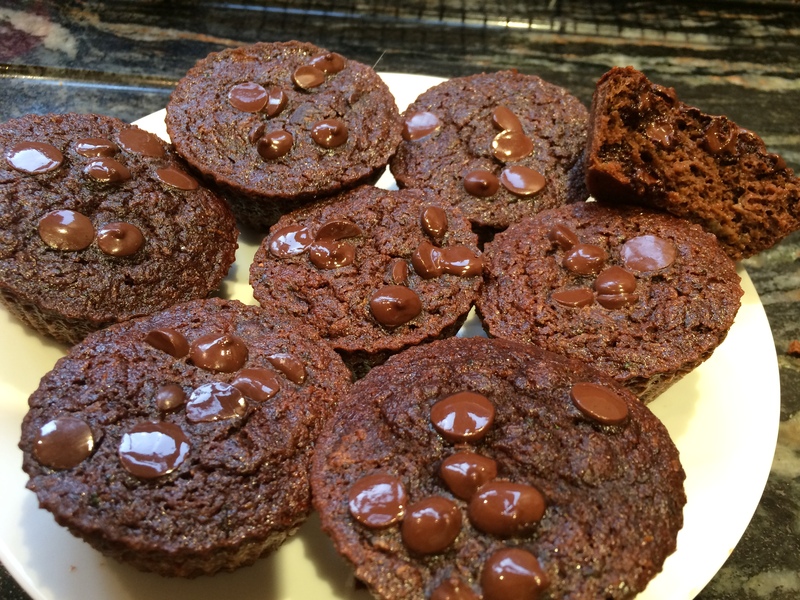 I made these delicious muffins recently and they are so moist, chocolatey and gooey that I have had to slap my husband’s hands as he kept pinching them. Although the original recipe calls for dairy-free chocolate chips, I used a very dark chocolate chip instead. Preheat the oven to 350°F and line a baking tin with paper or silicon cups. Place the shredded zucchini in a muslin and squeeze out as much juice as possible (don’t throw it away – add it to your next green juice). Put to one side. Place the eggs, maple syrup and apple sauce in a stand-mixer and mix on medium speed until combined. Add the coconut flour, cacao powder, arrowroot powder, baking soda, cinnamon, nutmeg and sea salt and mix again on medium speed until combined. Add the dry zucchini and mix into the batter together with half of the chocolate chips. Fill the paper or silicon muffin cups about 2/3 of the way full and sprinkle with the remaining chocolate chips. Bake for about 25 minutes. Cool in the pan for 10 minutes and then turn them out onto a wire rack until completely cool. Last Autumn a neighbour of mine was inundated with windfall apples and kept leaving box loads for people to take. I am so grateful I took the trouble to cook so many down and freeze in small quantities. Just hoping the same happens this year as I am finding more and more recipes using unsweetened apple sauce. Another fantastic recipe adapted from Danielle Walker’s Against All Grain. 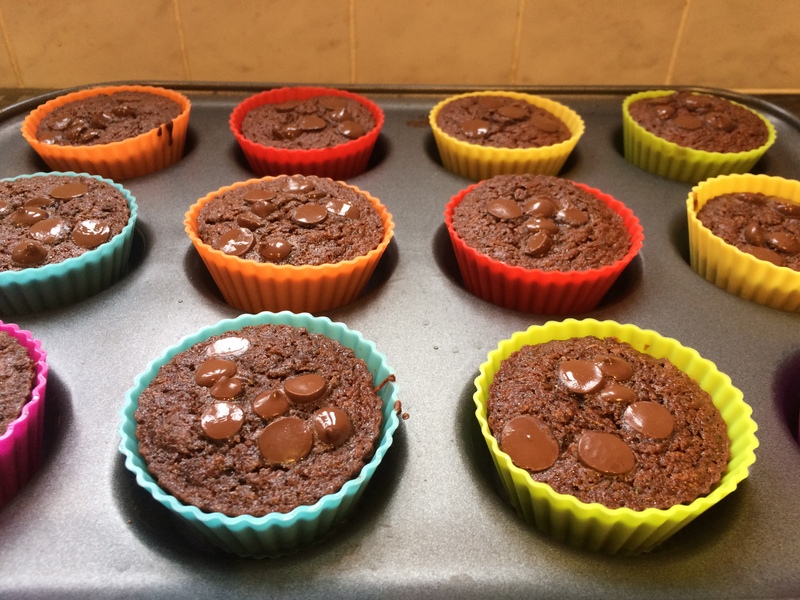 This entry was posted in Miscellany, Sweets and Treats and tagged Chocolate, Courgettes, Gluten Free, Healthy Eating, Juice, Muffins, Wheat-Free, Zucchini. Bookmark the permalink.